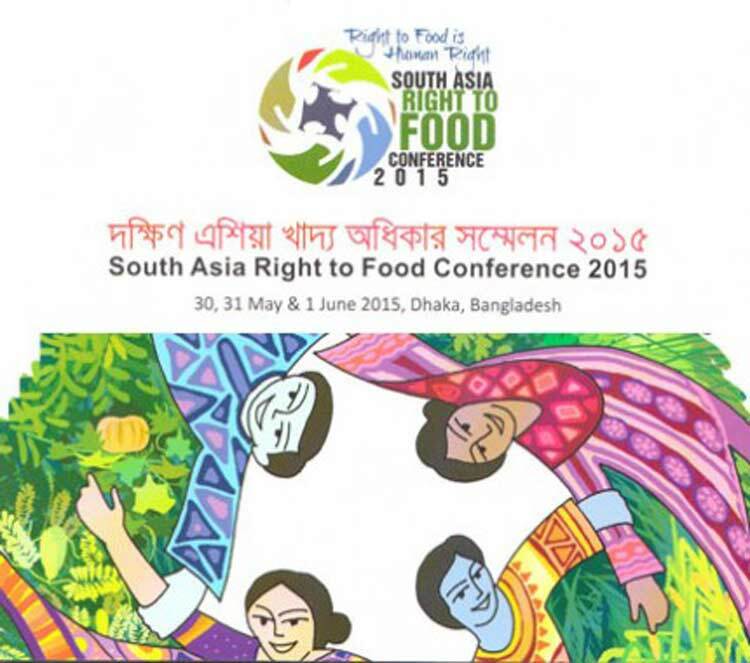 ‘Right to food is Human Right’, With this slogan South Asia Right to Food Conference 2015 took place from 30 May to 1 June. Unless you are aware of the global food politics manipulated by transnational companies like Monsanto, Syngenta, and others, who are desperate in monopolizing the food chain, and determined to pollute our biological environment with transgenic crops, such as Btbrinjal, you will remain confused by the deceptively appealing slogans like ‘right to food’. Indeed people have right to food, but the question is who is going produce the food for the people to realize this ‘right’? Farming communalities? No. No. That is not the idea. Farmer’s are backward and do not understand science and technology. Therefore right to food could only be achieved by agricultural policies and technological interventions in favor of transnational corporations that could effectively eliminate the farmer and the agrarian civilisation. Agriculture must be transformed into industrial food production as the West has already accomplished. Well, what will happen to rural population whose livelihodd is agriculture and innovation of seed varieties? They are the steward vof biodiversity as well. They will be turned into ‘surplus’ population. Where these rural population, who are made ‘surplus’ by the brutal agrarian and technological policies, will go? They are, by the very process of social and technological engineering, are disposable, isn’t it? They now can survive only by selling themselves in the modern slave market. Slavery is long ago gone, but the new economic global order reproduce the tradition within the garb of development and colorful story of growth. These modern slaves, having no way to earn a livelihood in their villages must rush to the cities to sell them to the neo-liberal world market. Their price is very cheap price and they end up in Middle East, Malaysia, Delhi or other big cities to do jobs other refus to do. Some will float in the Bay of Bengal and many will be trafficked out of Bangladesh only to be buried in jungles of Thailand and Malaysia. Those who will remain and will make trouble in Bangladesh will be killed as Islamic terrorists in line with the war on terror. Yes, they are disposable, they are the surplus, and they are indeed over-populated . So do not judge humdrum of ‘food security’ without understanding the broader global picture, Or at least the ground reality of your own country such as Bangladesh. When you see big conference on ‘food security’ that has recently allowed a GMO, the genetically manipulated eggplant (Brbrinjal) for cultivation in Bangladesh knowing fully well that India and Philippines refused to do so till today, you have to think twice. If you are unable to deconstruct the full meaning of such intervention, reading glossy brochures of the conference will further blur your brain. You looked around and failed to see any farmer’s organization in such food security conference. How do you explain such absence? You can be sure that it is the conference to ensure food security by transnational companies and philanthropic-capitalist complex who work closely with the lords of biological destruction. Needless to mention, people and organization who have attend such conference are not necessarily carry the food security agenda of the transnational companies. That might be a tactical issue, and related to the organization’s strategy to deal with the reality within which they have to operate. Despite our deep concerns and criticism, we welcome such conference. If we sound cynical it’s because It’s hard to create a space where people can participate and discuss farming, agricultural policy, science and technology critically, i.e., remaining free from the manipulation and propaganda of transnational corporations and their insatiable desire to monopolize seed and food market.